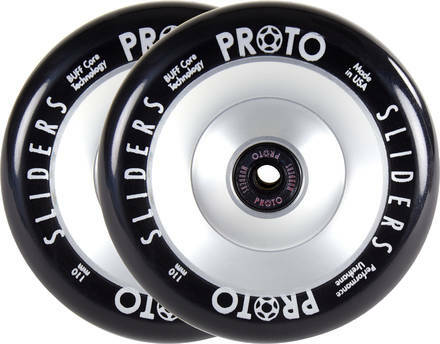 These stunt scooter wheels are the second style of PROTO stunt scooter wheels to come out. Sliders are harder than Grippers and also take a longer time to wear down, even when doing high stress tricks such as sliders (hence the name) and powerslides. The new Solid / full core design makes these stunt scooter wheels even stronger.